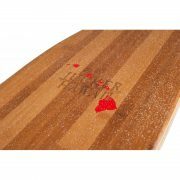 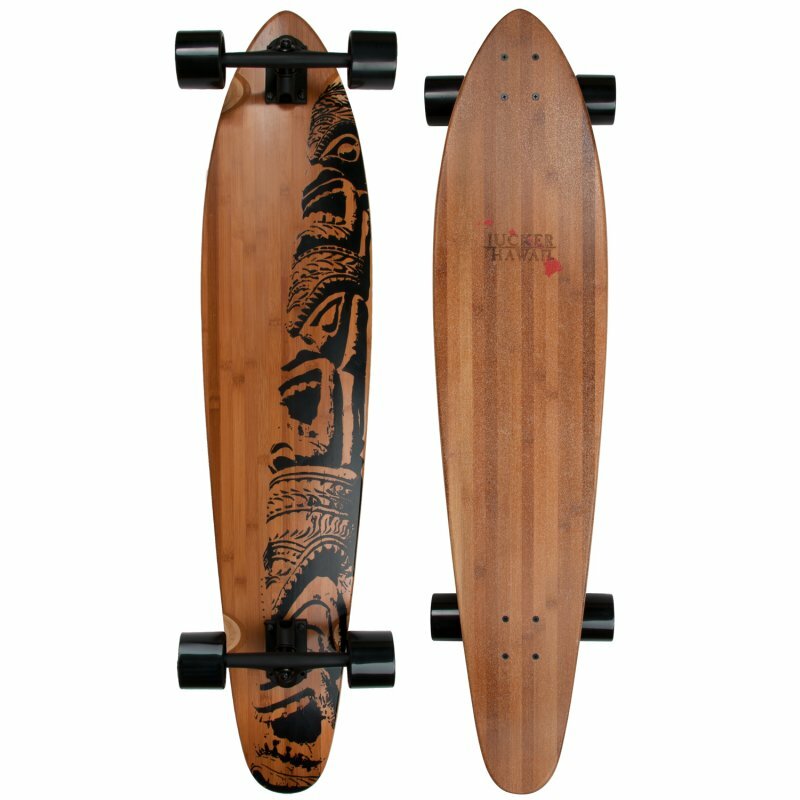 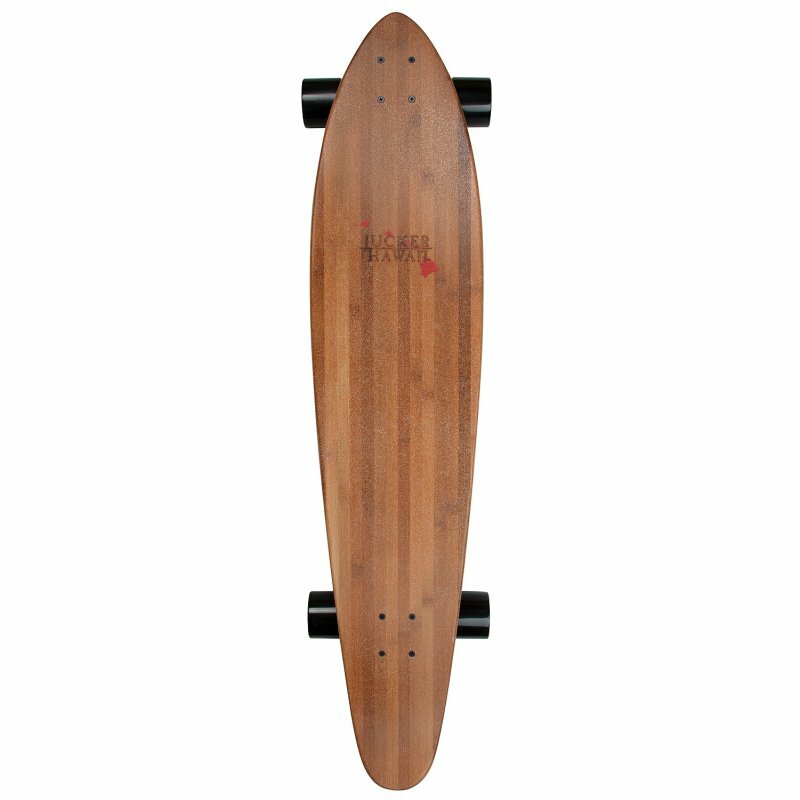 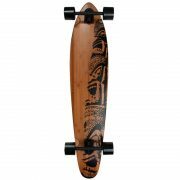 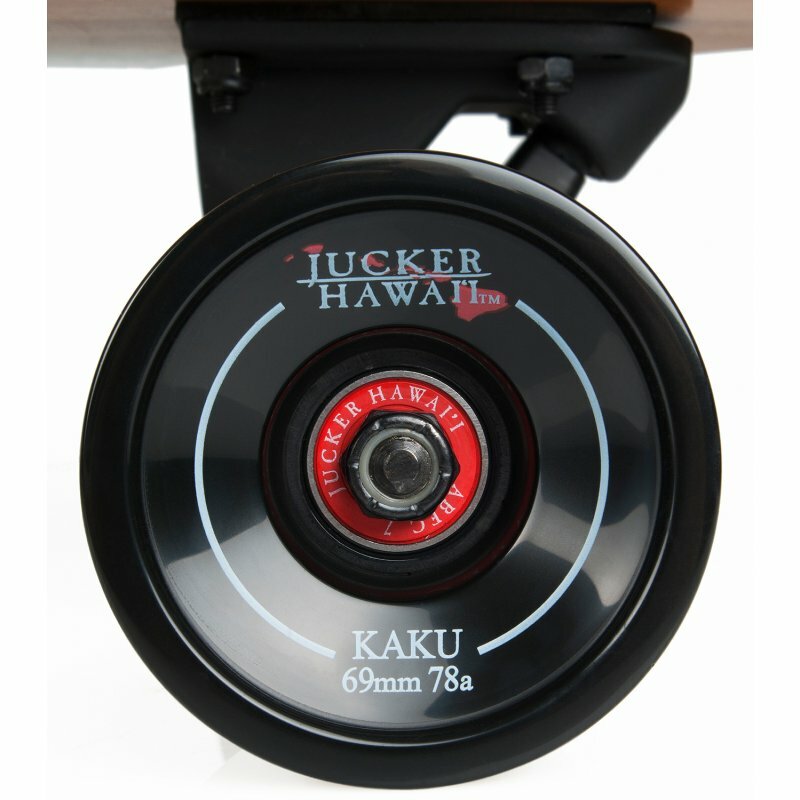 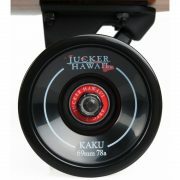 The JUCKER HAWAII longboard “Kaha SE” with its bamboo deck is one of the most popular longboards on the market. 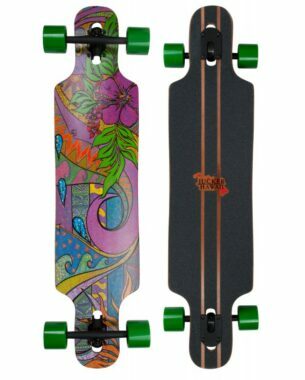 We adjusted the colors of the truck in our 2016 model to match the graphics on the deck. 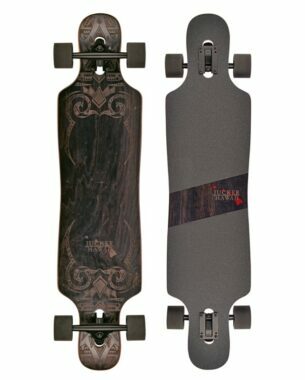 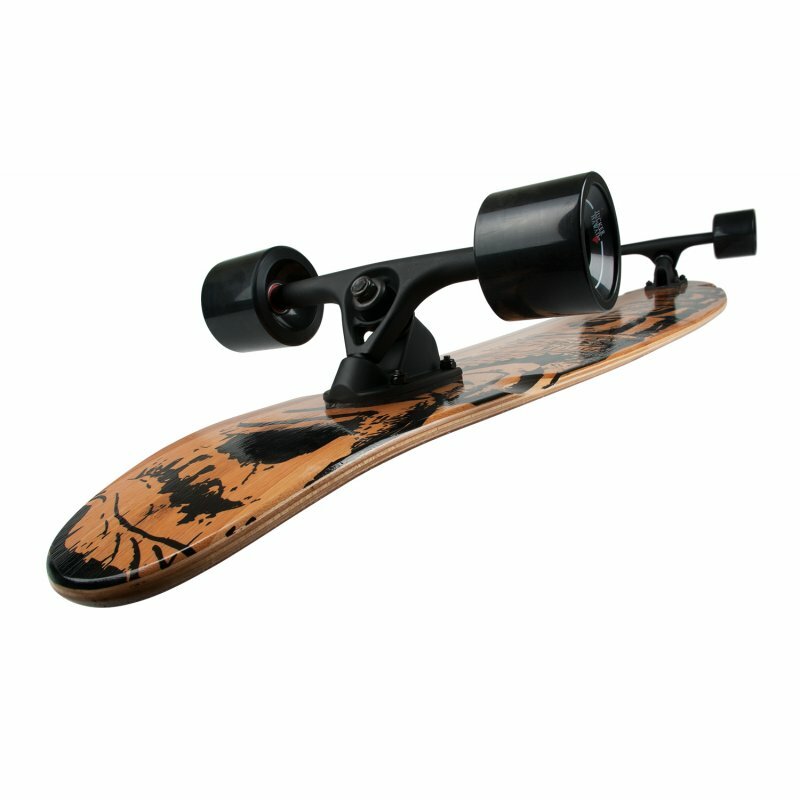 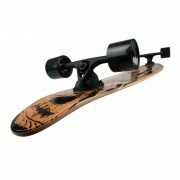 The black matte trucks, the black wheels and the company logo look absolutely stellar in combination with the bamboo deck. 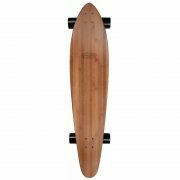 The layers of bamboo give the board not only a visual enhancement but also a more lively flex. 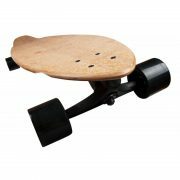 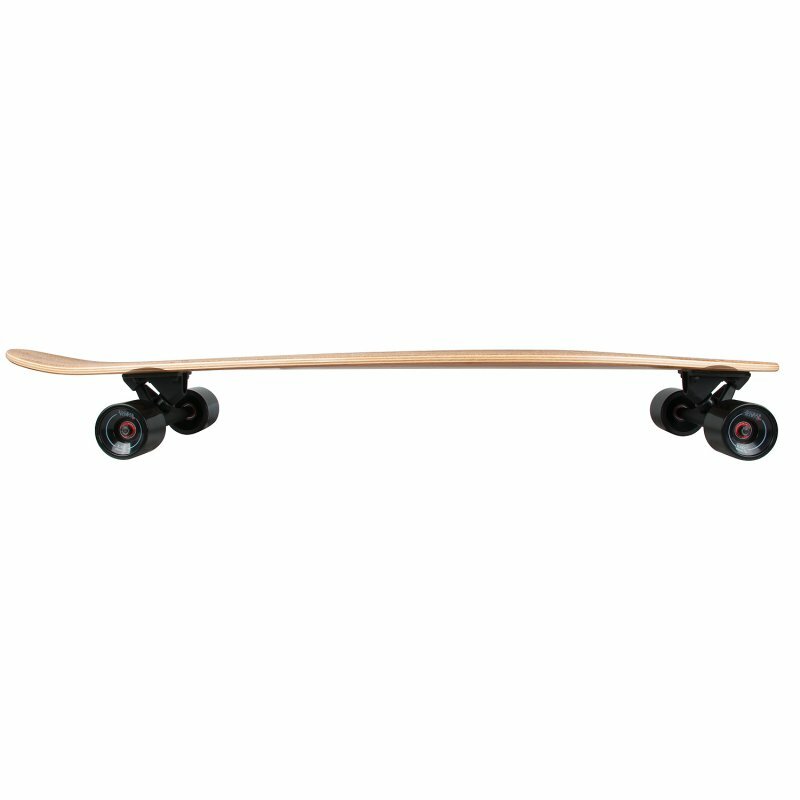 Thanks to the wide trucks and soft 78A wheels the board allows the rider to roll as smoothly on soft tarmac as on rougher asphalt. 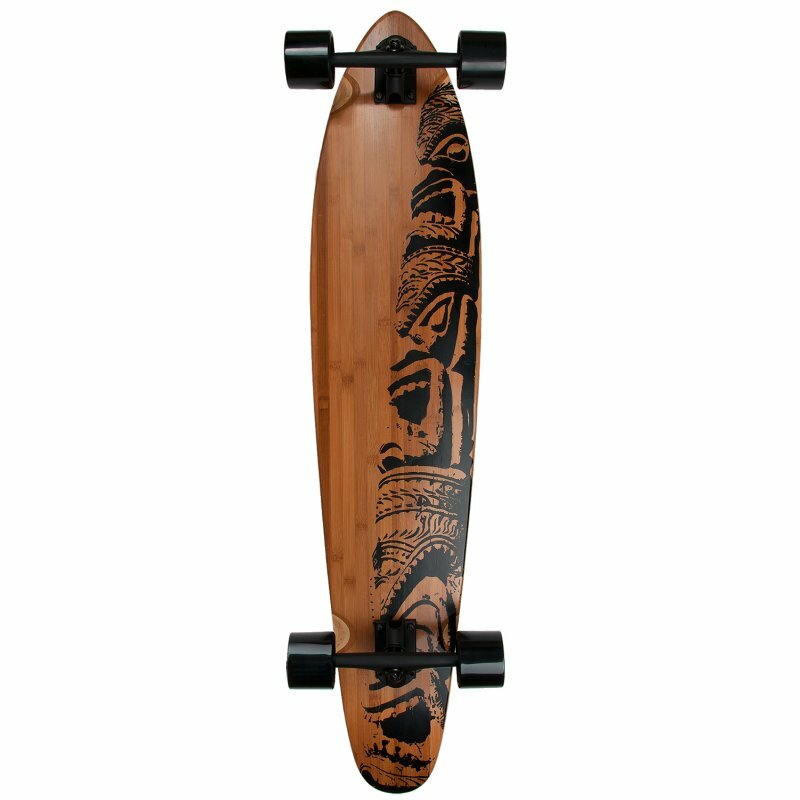 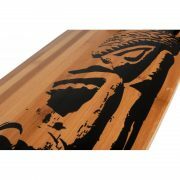 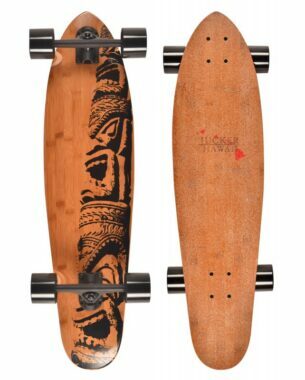 This board is currently out of stock here on Maui, please order via AMAZON.